Thanks for views, comments and critiques, much appreciated! Beautiful shot and I love the rippled reflections! Terrific shot, love the reflection! The ripples in the water make for really interesting reflections here. I love the two together and the light on the water and the duck's head is so pretty! 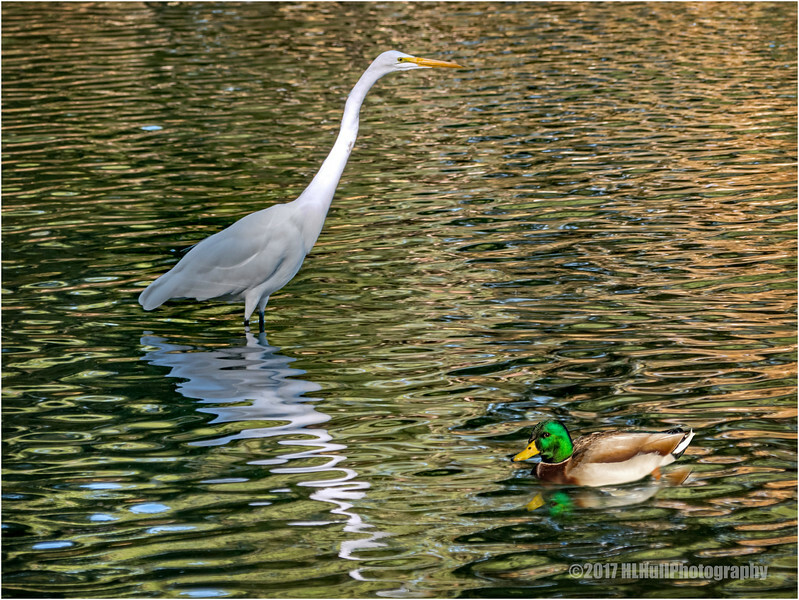 A very happy pairing that along with the egret's reflection creates a sort of loop for the eye to travel around. Absolutely Beautiful. Love the color tones.